Paul McCaffrey talked about working in comics and illustration, and that elusive work-life balance: ‘The work-life thing is an interesting concept,’ he mused wistfully, as if it was something that totally eluded him. And so this presentation was rich in detail and variety: robots and zombies, comics set in different times and places…. One fascinating project he was involved in was the illustration of a book about a boy with Tourettes syndrome. It can’t be sold as a children’s book, because of the swearing, and it can’t be shelved as a graphic novel, because it looks like a children’s book! I was particularly intrigued about Paul’s commission from a company working in wearable technology, to create a comic strip about their product. The product may not have taken off, but the idea of using comic art to promote ways of working with new technology is exciting. Some of Paul’s recommendations for those starting out in comics included Birmingham’s ‘Comics Launchpad’, something definitely worth checking out. But this review can’t do justice to the wealth of drawings that the unjustly modest Mr McCaffrey showed us. Work for Macmillan, Heinemann, NME, IDW, Marvel, DC, Aces Weekly, Omnivistascope… and on. 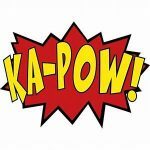 – There is a list of sound effects at comicbookfx.com though many are dated and are parodies of themselves. Many are violent, reflecting their source in decades mainstream comics, but there’s no sound effect for starting a car engine. – Take a look at Robert Petersen’s ‘The Acoustics of Manga’. – Make sure that the sound effect fit into the region, environment and period that is being shown. For example, a 1920’s phone does not go ‘Ring, Ring…..Ring, Ring’. 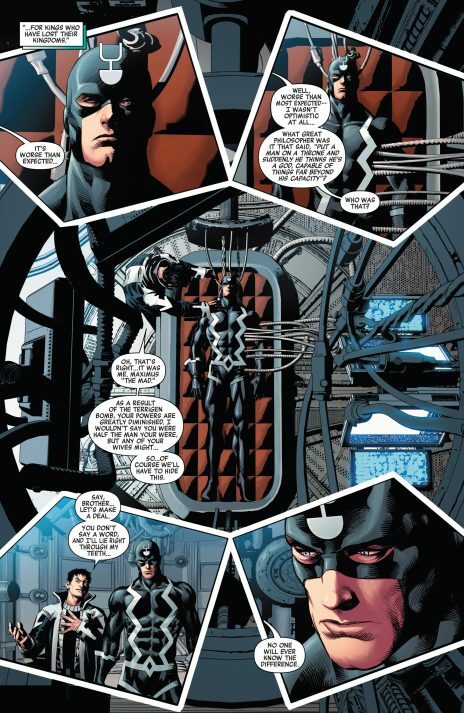 – Comics would benefit from people who specialise in sound effects. Brick wrapped up his fascinating and thorough talk by explaining how he’d found a way to represent music (perhaps the most difficult of all SFX for comics creator to grapple with) in his work on classical composers. Flowing patterns give a feel of the sounds being represented without off-putting, complex musical notation.